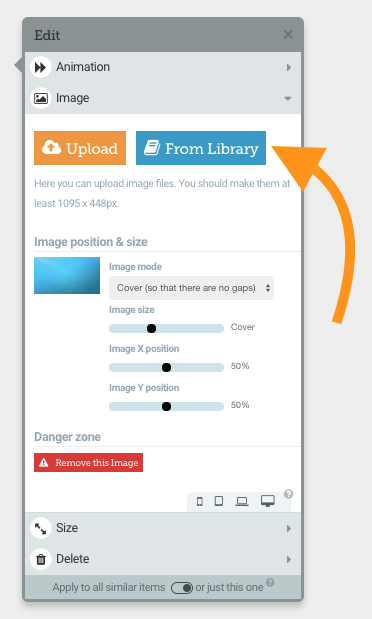 Once you start uploading images these are automatically added to your Asset Library. Who can use the Asset Library? The Standard Asset Library is available to all users. All Assets in the account can be viewed by all users. The Enhanced Asset library is available as an upgrade, please reach out to us if you would like more information on how to access the Enhanced Asset Library. How do I get started with the Standard Asset Library? 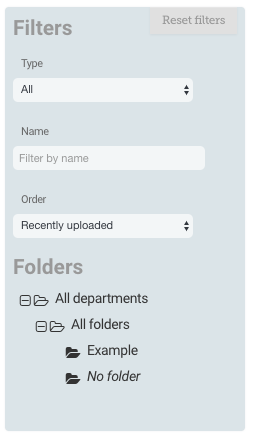 The Standard Asset Library will be accessible by clicking the ‘From Library’ button that is relevant to the type of Asset you are trying to alter. …If I wish to alter an ‘Audio’ file firstly I click to edit an ‘Audio’ field and then click the ‘From Library’ button. After opening the Asset Library, you will see all of the Assets that can be placed in the container that you have chosen. 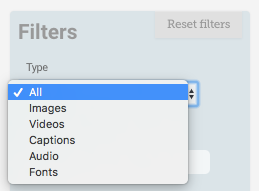 …if you would like to do a new search, press ‘Reset Filters’ and then add the name to the search Filter. 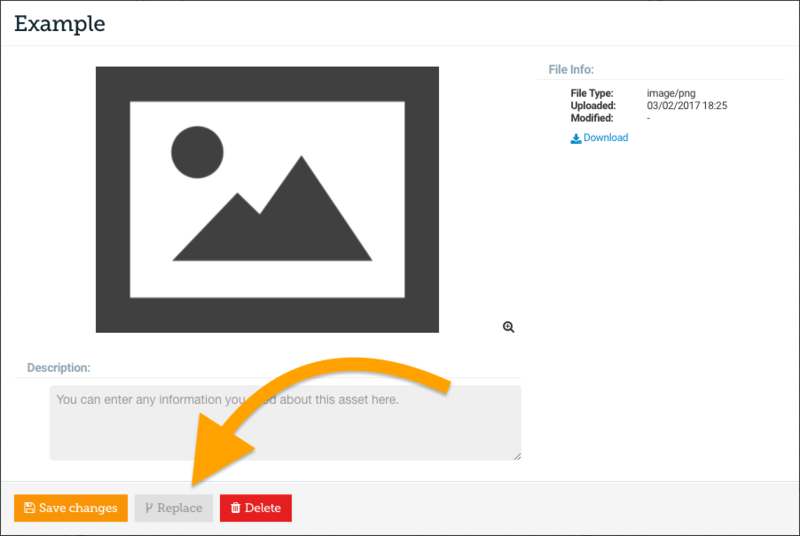 The name of an Asset will be automatically set according to the name and file type that was set when you uploaded the Asset. 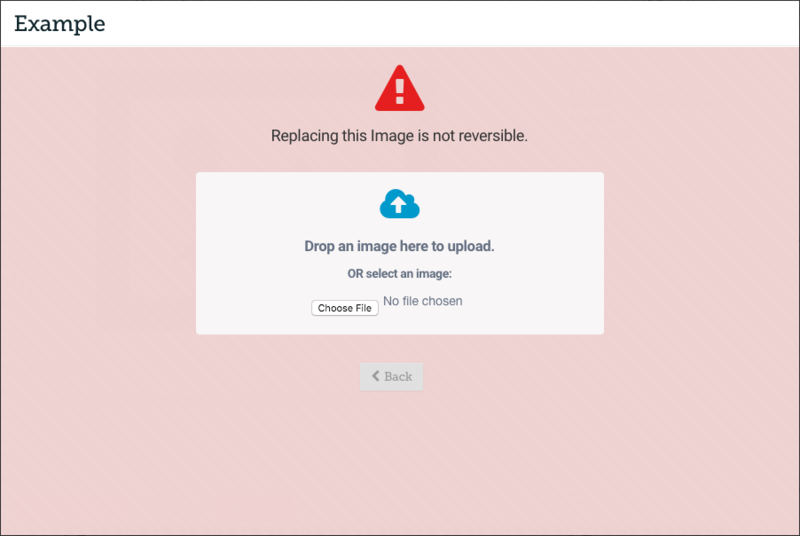 If you wish to Download an Asset firstly open the Enhanced Asset Library and click the name of the asset you would like to Download. 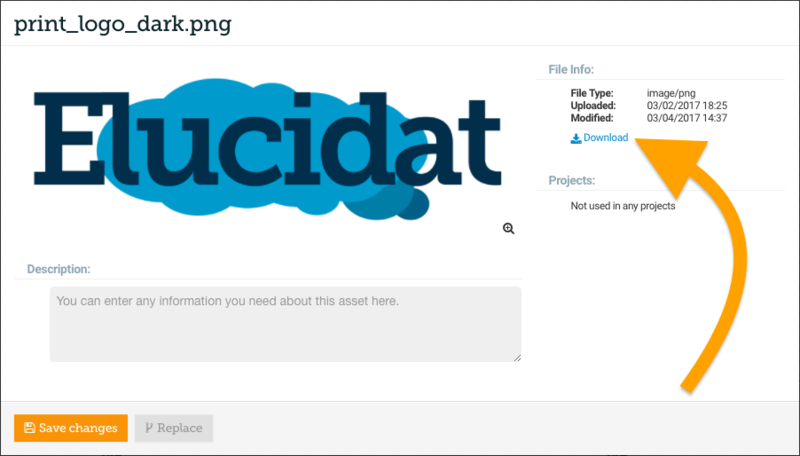 Elucidat allows you to keep your Assets in ‘Folders’ to keep everything tidy in your Asset Library. 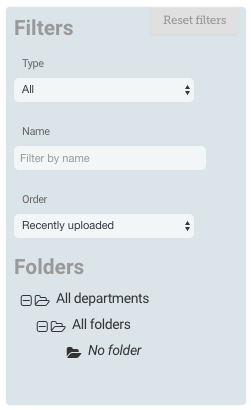 ‘All Folders’ - any new Folders you create will sit within this. 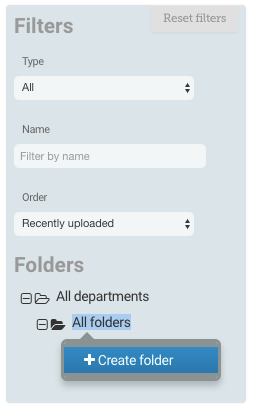 ‘No Folder’ - this is where your Assets will automatically be organized until they have been added to a Folder. In the Asset Library, find the Asset which you would like to add to your Folder. 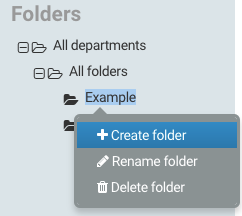 Please note that only Administrators can rename and create folders. What are the advantages of the Enhanced Asset library? 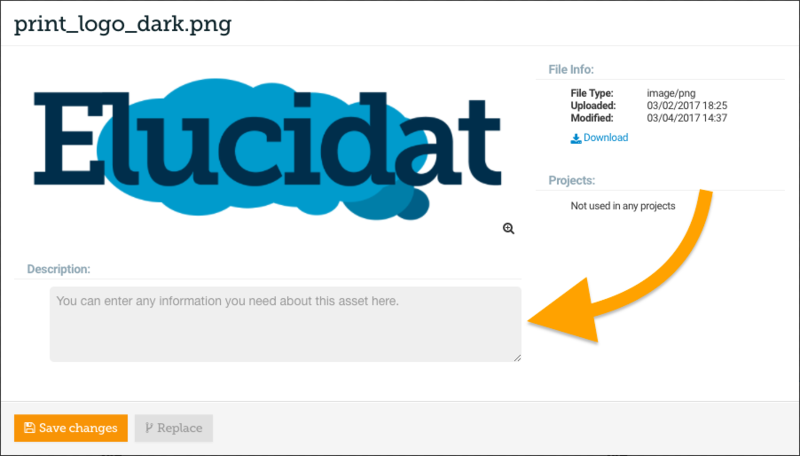 You can give a Description to your Assets so that you and your colleagues have context as to how Assets should be used. If you wish to give your Asset a Description firstly open the Enhanced Asset Library and click the name of the asset you would like to give a Description. To use the Replace feature, firstly open the Enhanced Asset Library and click the name of the asset you would like to replace. The details of the Asset will now display. …click ‘Continue’ if you are happy to use the Asset. 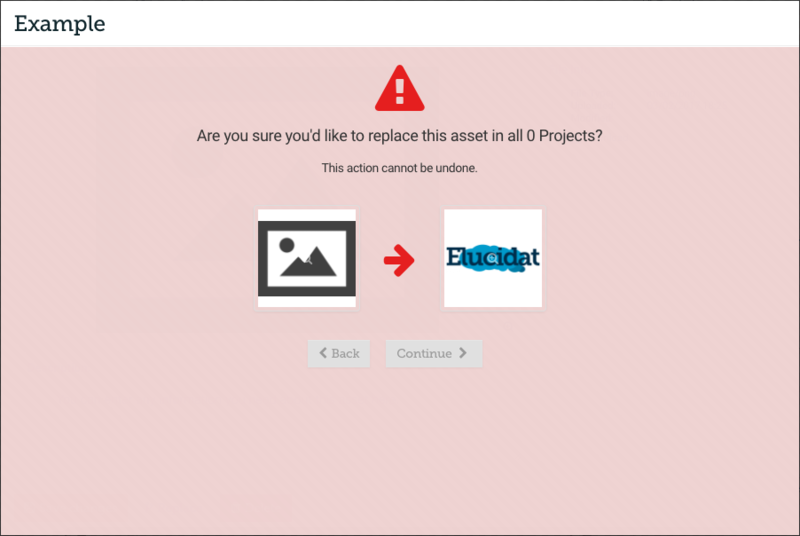 Your original Asset will now be replaced with your new Asset in all of the Projects that it has been used in. 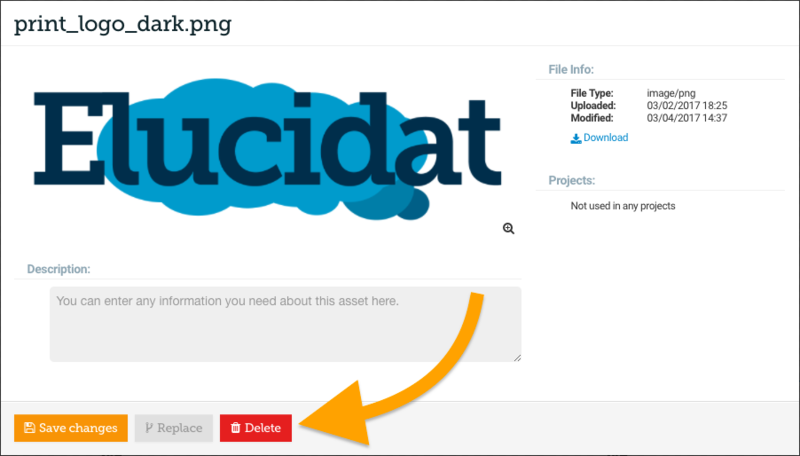 If you wish to Delete an Asset firstly open the Enhanced Asset Library and click the name of the asset you would like to Delete. If you wish to add multiple files to your Asset Library firstly open the Asset Library. Select the Assets which you wish to upload and click ‘Open’. Please note that batch uploading is subject to your Browser’s limitations. 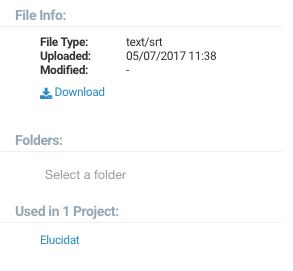 As well as Image, Video and Audio files, the Enhanced Asset Library allows you to upload and manage Caption and Font files. 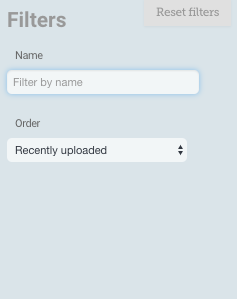 This allows you to manage all your Assets in one place, and see which Projects these files are currently being used in.